Google has announced that - starting with version 49 - Chrome for Android will support physical web content. The feature enables users who opt in to interact with bluetooth beacons found in public places such as shops, cinemas, and stadiums. Chrome for iOS users have been able to see physical web devices using a widget since last July, but now the feature is finally coming to the Android version. The update will start in the beta channel, but it will eventually roll out to everyone. When a user approaches a beacon they will get a push notification asking if they want to enable the physical web and interact with it. Chrome will also list all nearby beacons. The technology has a variety of uses, such as helping people find their way around conventions (there were 1500 of these beacons in place at this year’s CES) and distributing notes in schools. 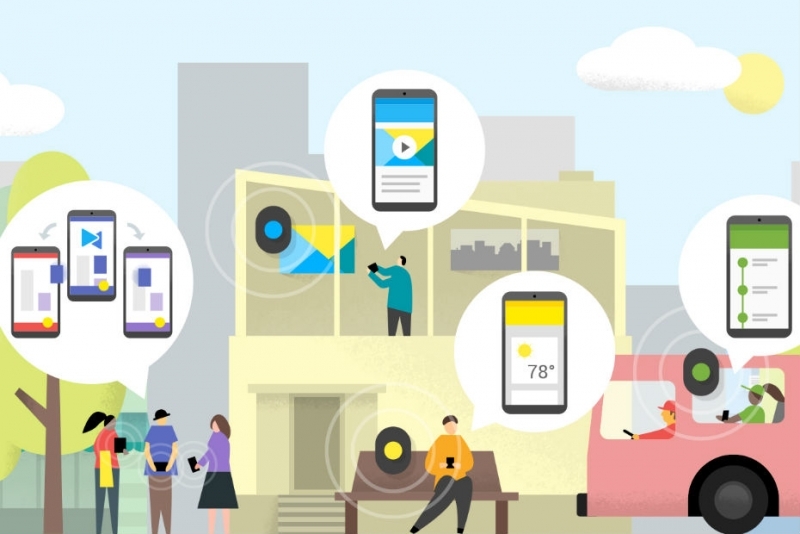 Google is also pushing the physical web as a quick and easy way to pay parking meters. It can also be used to inform customers of certain promotions when they enter stores, so there will probably be times when you'll want to disable the feature. Check out the video below to discover more about the physical web and its uses.